Is the WA shark cull policy worth it? A sign held by a protester at Cottesloe Beach, WA. The recent Shark Culling Policy in WA has attracted widespread controversy not only in Australia, but also internationally. The incredibly cruel policy is based on the fact that in the past three years, seven people were killed by sharks in WA waters. While these deaths are tragic, reports have found that in 2013, there were only two shark-related deaths, a statistic considered to be below average. The first shark was killed last month, on Australia Day, prompting protests both in person, with thousands appearing on beaches Australia-wide, and online. Greenpeace Australia Pacific posted a photo on Facebook of the first shark kill, which to date, has been shared over 27,600 times. The ‘catch and kill’ policy has also attracted the attention of an international audience, with the New York Times publishing an article titled, “Australian Catch-and-Kill Shark Policy, Meant to Reassure, Horrifies Some”. With the amount of shark-related deaths relatively low, the logic of a policy which involves the violent revenge killings of what are considered to be a near threatened species, must be questioned. Do the benefits of a ‘catch and kill’ policy in which sharks found in ‘kill zones’ are captured, shot and discarded into the ocean outweigh the negatives? Will people feel safer in our waters? Or as the New York Times suggests, will a policy meant to reassure us, really horrify us? Catching and killing a near threatened species will inevitably push them closer to extinction, which in turn impacts the whole ecosystem. Is this gamble with our environment’s stability worth the very few lives which only might be saved? 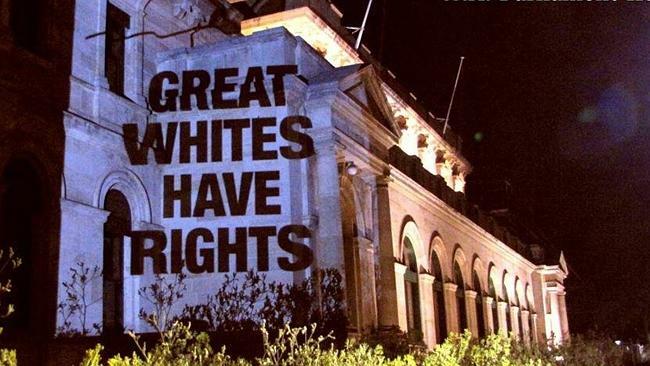 Anti-shark cull messages have been projected onto Premier Colin Barnett’s office and Parliament House. There will always be a risk involved in being in the ocean, whether it be from sharks, other deadly marine life such as the blue ringed octopus, stonefish or toxic jellyfish, or simply from drowning (which in 2013 accounted for 291 deaths according to the Royal Life Saving National Drowning Report 2013.) 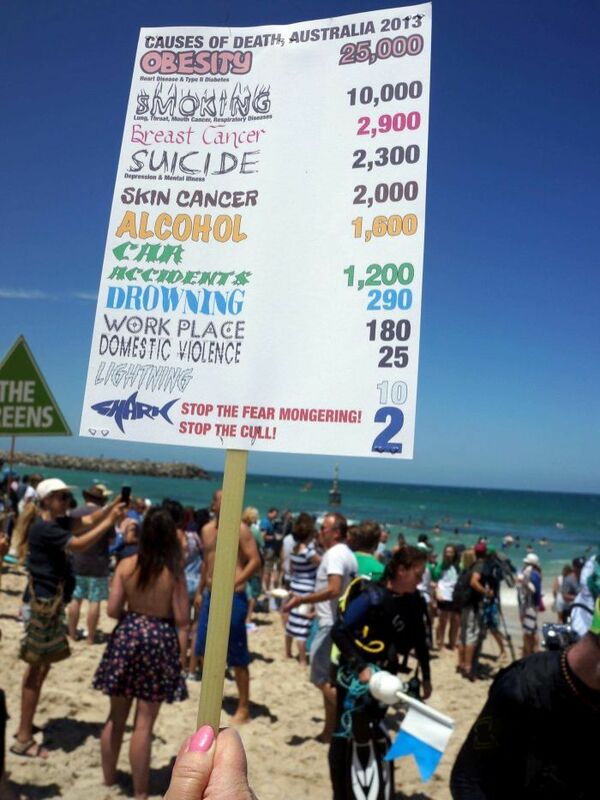 While drowning accounted for over 99% more deaths than shark attacks last year, perhaps government action would be better focused on compulsory swimming lessons for our children rather than the shark cull? Or towards better food and exercise programs being implemented in our schools, to target obesity, one of the top killers of 2013, responsible for approximately 25,000 deaths nationwide.